Panama City Beach is known for its gorgeous Gulf views and multitude of things to do. The fun is taken to a new level when you visit this beach city over the Fourth of July holiday. Book a stay at one of our Panama City Beach rentals and have easy access to some of the best holiday events on the Gulf Coast. Below is a quick guide to where to see fireworks in Panama City Beach, as well as some of the many Panama City Beach events and activities. As far as popular opinion goes, the Star-Spangled Spectacular in Panama City is the biggest fireworks display on the Gulf Coast. The Spectacular is a joint collaboration between the M.B. Miller County Pier and the city, with the goal of both celebrating our country’s independence and kicking off the summer season. For something a little different, this year’s event organizers will be offering a playlist of songs timed perfectly with the fireworks. To tune in, visitors can download the Kick’n 103.5 app and let the playlist roll. While the event is totally free, bring some cash to buy a snack at the concession stands, which will be open throughout the day as chairs and tables are set up to accommodate the many expected visitors. Parking may be hard to find, especially in the days leading up to the show. Instead, opt for the Bay Town Trolley in order to enjoy the event without the stress of fighting your way through traffic and vying for limited parking spaces along the water. The fireworks will be held at the M.B. Miller County Pier, located at 12213 Front Beach Rd., Panama City Beach, FL. The show begins promptly at 9 p.m.
Music will erupt from the Aaron Bessant Park every Thursday evening over the summer. Here in Panama City Beach, you can enjoy one activity after another. One of the most popular Panama City Beach events, the summer concert series gives you the opportunity to listen to great music outside in one of the community’s lush parks. All of the events in the series are free, and are located 600 Pier Park Dr., Panama City Beach, FL. They feature an array of family-friendly activities, as well as close proximity to the Pier Park shopping area. Through the event is free to attend, be sure to bring blankets, a drink cooler, and lawn chairs. Pets are also welcome. 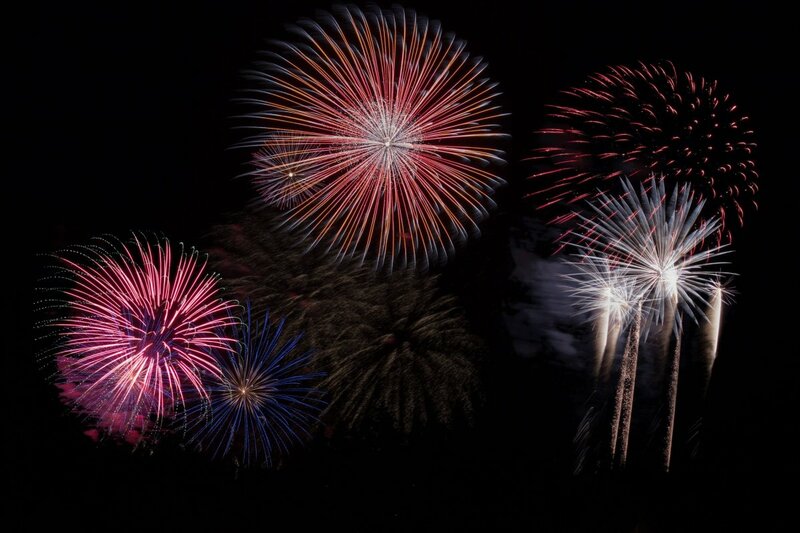 The show is scheduled to begin at 7 p.m.
Only July 5th, the concert series will offer and a special treat for guests: fireworks to further celebrate Independence Day – the day after. Stay after the show for a fireworks encore to make the Independence Day spirit even brighter. Light Up the Gulf is one of the most-awaited holiday events in the area – and, like many others, it all ends with fireworks. The Boardwalk Beach Resort Hotel & Convention Center is hosting a grand beachside show at 9600 S. Thomas Dr., Panama City Beach, FL. Both hotel guests and the general public are welcome to attend. There is no cost for admission; simply bring your own beach gear and hang out for the day. The fireworks are set to launch at around 8:30 p.m. on July 6. Before the fireworks are launched high into the sky on the evening of July 4, thousands gather to reflect on American history and remember those who fought to make this country what it is today. The event takes place at 600 Pier Park Dr., Panama City Beach, FL, on the morning of July 4, around 9 a.m., and continues into the afternoon. Local politicians, businesspeople, and community leaders are expected to make an appearance. For more information about our available Panama City Beach rentals, call us today at 800-874-2412. We can not only help you find the perfect home away from home, but help you decide which holiday events and activities you’d like to take the kids to. Get in touch with our team for information on things to do, events, and activities this summer in Panama City Beach.